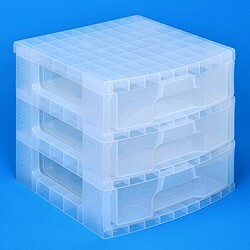 You may choose the colour of the main body (top and sections) as well as the included drawers when ordering. All drawers must be of the same colour. The exceptions to this are the "Rainbow" colour choices where a range of different coloured drawers (e.g. 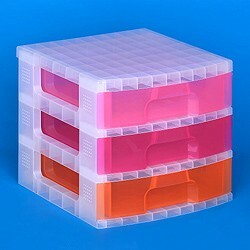 "transparent rainbow drawers") are included.